Today’s conversation is with Allison Dvaladze. First, I have to fully admit that I can’t pronounce the last name of today’s guest. So I let her do it for me (as you’ll hear). Allison first landed on my radar when I came across an article about her suing Delta Airlines because of an incident that happened on a flight in April, 2016. During that flight from Seattle to Amsterdam, Allison was sexually assaulted. We don’t get into the details of what happened (you can google it for more information), but, in short, let’s just say the flight attendants weren’t equipped to handle the incident. For the past two years, Allison has been trying to get legislation passed that will require airlines to implement procedures when occurrences like this happen. And they happen more often than you might think—it’s just that they often aren’t reported so there are no statistics about it. With the help of Washington State Senator Patty Murray, Allison has had some luck in getting a bill passed on the House floor. And you’ll hear more about that and how it all came about during our conversation. That alone would have been an interesting conversation with Allison but before I reached out to her and invited her on the podcast, I did a bit of research and discovered that her advocacy for women ran much deeper than this one issue. 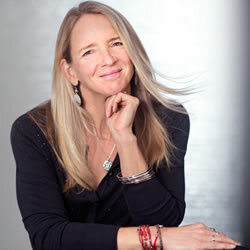 Allison is currently the Director of Global Strategy, Partnerships and Advocacy at the University of Washington. What she does is travel the world to help build partnerships and networks that support advocates of women’s cancers, specifically breast cancer, and this is often in low-resource settings such as developing nations and communities. Her work is fascinating and she gets into some of the details of it in this conversation. But what is really striking is how she got to this point in her life, meaning her early travels and adventures and how her natural inclination to help women not only has been a thread in her work life but in her volunteer work and her now advocacy for women travelers. Oh, one other little thing, to top it all off, she’s part of an eight-woman team who will be sailing from Port Townshend, WA to Juneau, Alaska this summer. That’ll be 750 miles on a sail boat during this adventure race. So yeah, she’s pretty amazing on many fronts. With that, please enjoy this fascinating conversation with Allison Dvaladze.